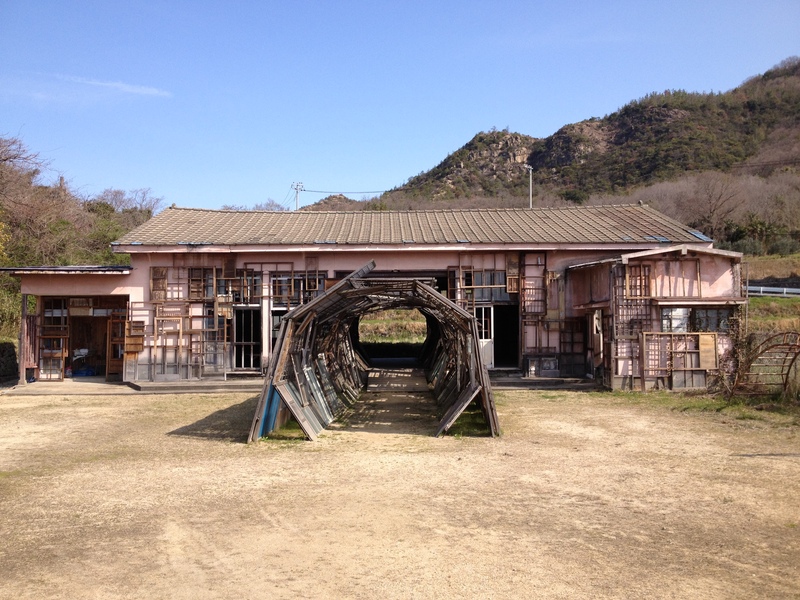 Jenny and I are art buddies, as we both studied History of Art in university, so I knew that we had to visit Naoshima, a small island on the Seto Inland Sea between Shikoku and Honshu. It was turned from a rural backwater into the setting of world-class contemporary art by the Benesse Corporation, the Japanese company that owns Berlitz Language Schools. 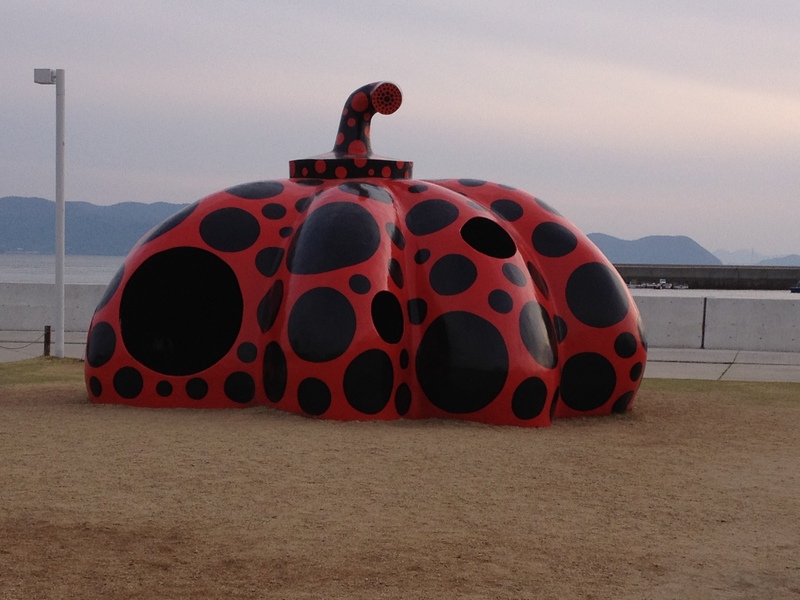 There are permanent works on Naoshima and the surrounding islands, but this year the Setouchi Triennale Art Festival is on as well, which means more art and better transport to the islands. Some works are free to view, some cost ¥300 and the museums cost ¥1000, but for the festival you can buy passports for one or three seasons (Spring, Summer, Autumn) which allows you to visit most of them for free once, and gives you discounted entry to others. I bought a two-day ferry pass for ¥4000, and the three season passport, ¥5000, because I knew I wouldn`t get to see all that I wanted to and it wouldn`t be difficult to get the train down from Kanazawa for a weekend during the Summer and Autumn. What`s great about the passport too is that you can get stamps at each of the works, which is very addictive. We felt like we were doing the art version of our temple pilgrimage. 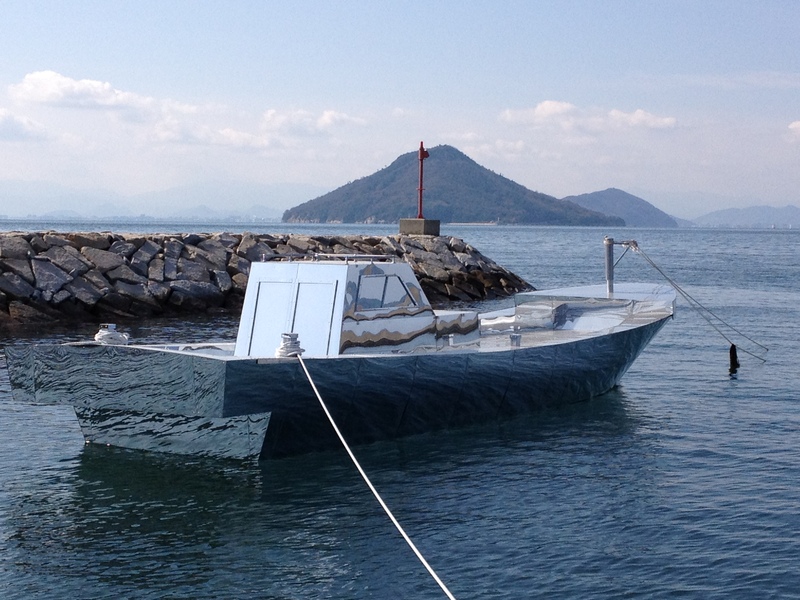 After our temple walk in Tokushima, we spent the night in Takamatsu and the next day took a ferry to Inujima, a tiny island, very close to Honshu. In the early 20th century a copper refinery was built on the island to try to keep industrial pollution away from the big cities in Honshu, but it closed down not long after and the population steadily dwindled until it reached the fifty people that currently live there today. 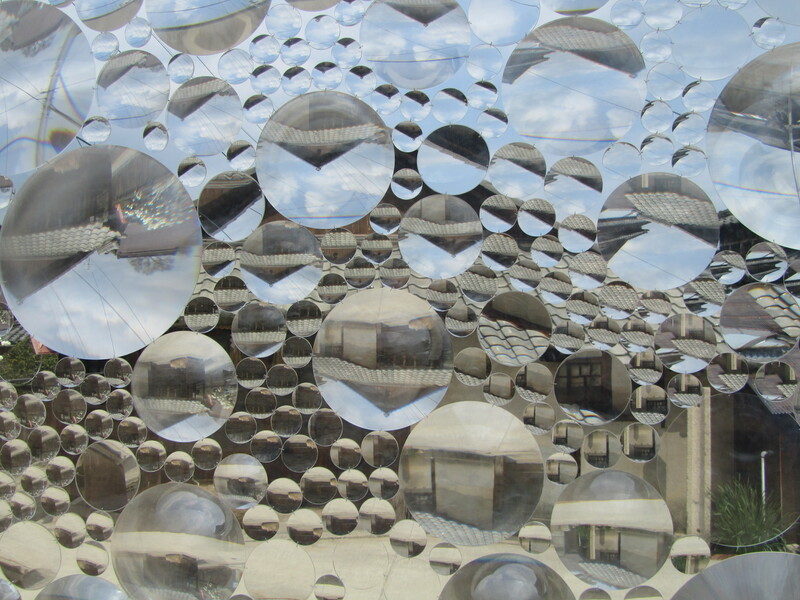 The smeltery was turned into a museum that uses solar energy and natural air currents to regulate the internal conditions of the building with minimal impact on the environment. 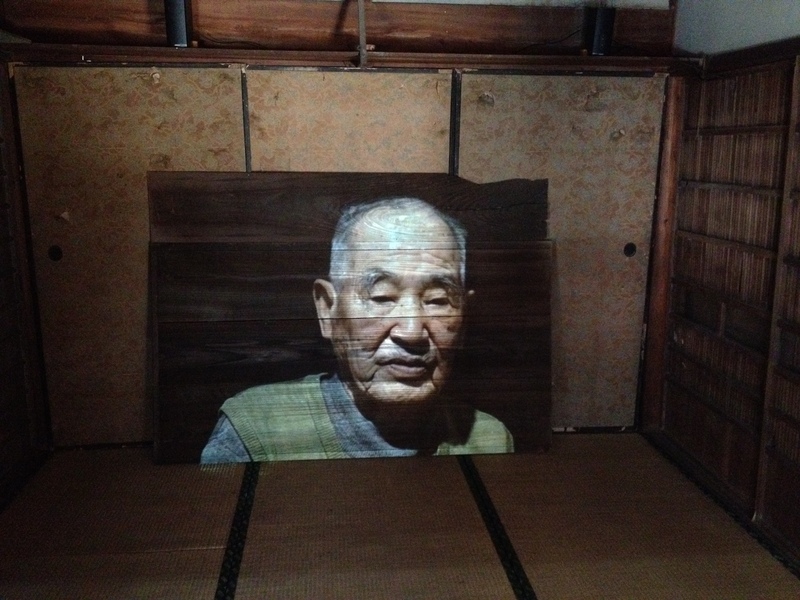 The museum contains artwork by Yukinori Yanagi based on the motif of Yukio Mishima, a very interesting writer in post-war Japan who committed ritual suicide in 1970 after a failed coup d`etat. I read his book Spring Snow while we were traveling around, and he was used in this setting because he had been wary of the effects of modernization on Japan. 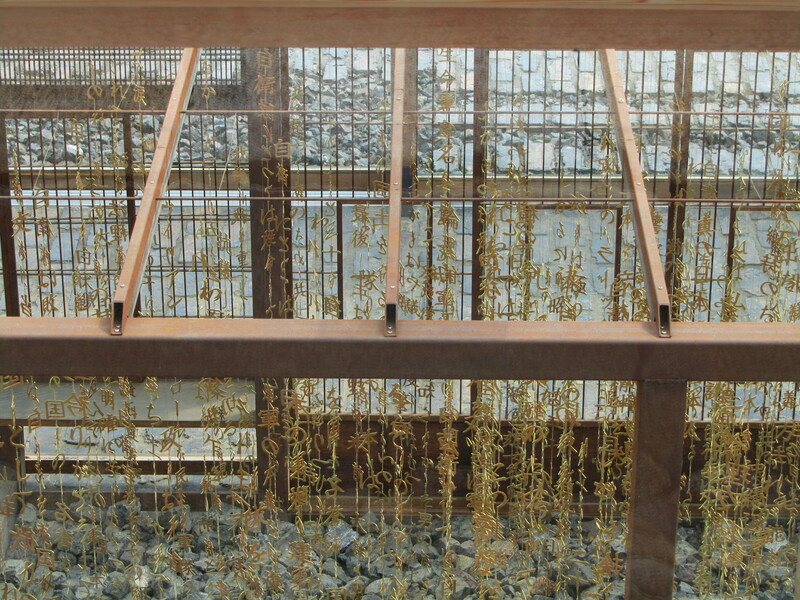 The picture above shows one of the works which is a large glass box containing his final speech before his suicide, deconstructed to form vertical lines of gold characters suspended from the top. Because Inujima is so small we were able to see everything on it in the morning before getting a ferry on to Teshima, a bigger hillier island. The guidebooks recommended renting electric bicycles for exploring the island but when we arrived they were all rented out so we got the bus to the Teshima Art Museum, which is a bit of a misnomer as it is really just one art space that is the art work. It`s such a simple design yet the atmosphere is quite amazing inside and little streams of water flow around the concrete floor. My desription doesn`t do it justice at all, but I would recommend it as one of the most serene architectural spaces I have experienced. We wanted to get to our accomodation before it got dark because there were no lights on the back road that led to it, but there was so much else we wanted to see on Teshima that we decided to rent bicycles in the morning and explore the island before getting the ferry to Naoshima. The day we arrived had been rather overcast and threatened rain, but in the morning the weather was gorgeous and the view of the island and the surrounding sea was just stunning. The electric bikes were a godsend too because the hills are really steep and it just means you can press a button to give your pedals an extra push. Despite studying history of art I don`t really know anything about contemporary art, in fact, it`s because of this that I feel very ignorant about it because I lack the hindsight that`s needed to analyse art historically. But I do love going to see contemporary art because a lot of the time its fun, interactive, multimedial and it allows you to experience things in a new way. 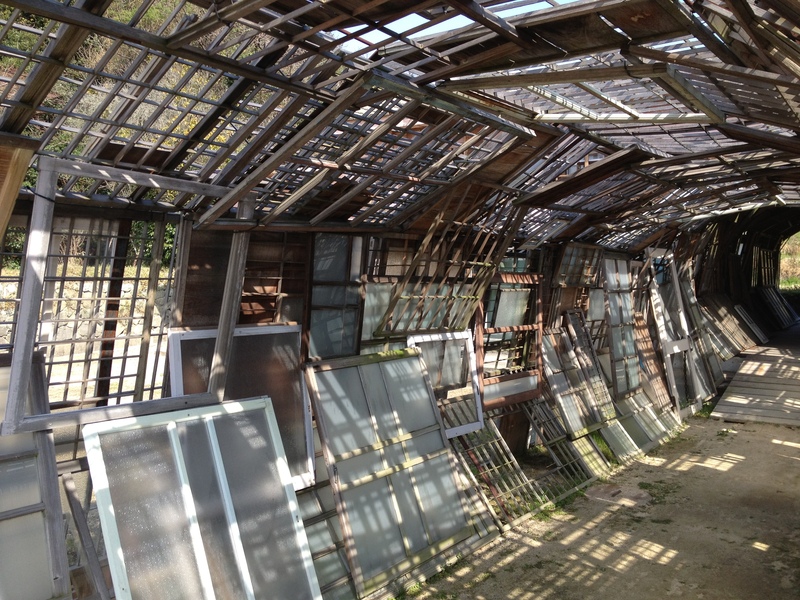 It`s like going to an intellectual funhouse. 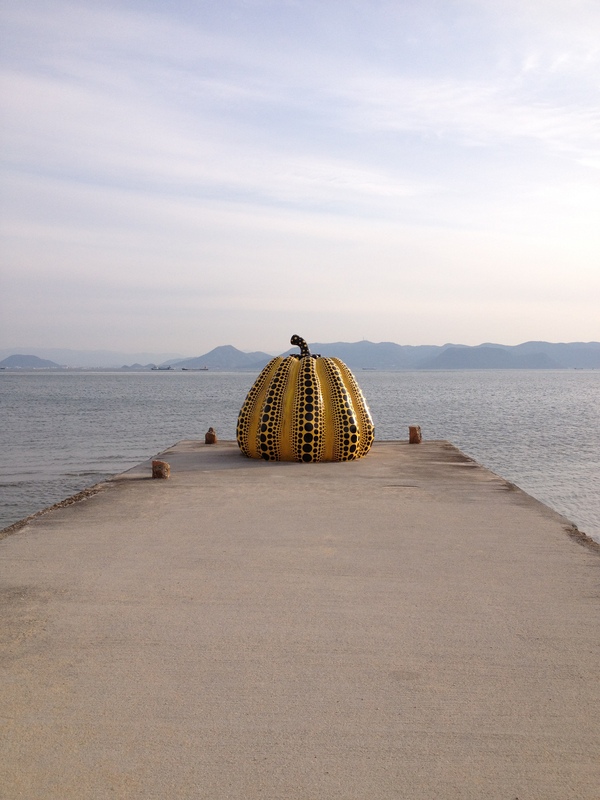 Because the Teshima Art Museum was closed on Tuesdays, the direct ferries weren`t running to Naoshima so we had to get a ferry to Uno Port on Honshu and then another to Naoshima. 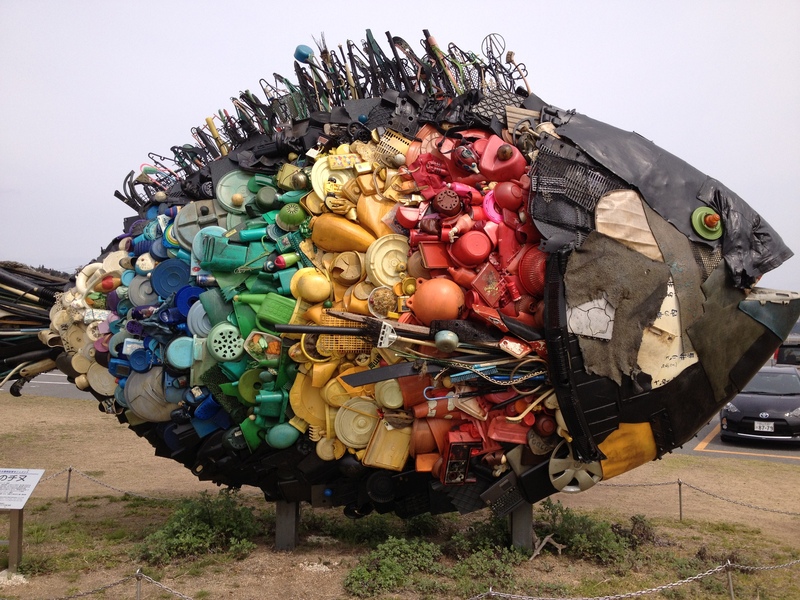 Our stop at Uno port allowed us to see a few other works like one of Yayoi Kusuma`s pumpkins (above), this one you could get into and look out through the spots, and this fish (below) that was made out of rubbish. Private sponsorship seems to play a big part in the Arts in Japan, and many great art museums were founded and funded by private companies. In my last post I looked at the Otsuka Museum in Tokushima prefecture, and some of the best museums I have been to are private institutions. The Mori Museum in Tokyo was created by a property developer and it holds temporary exhibitions ranging from contemporary artists to ukiyo-e, and the Miho Museum near Kyoto houses the collection of Asian and Western antiques belonging to an heiress of the textile industry in a stunning building designed by I.M. Pei (who designed the pyramid at the Louvre). Last year when I went to Tokyo for Golden Week I went to the Mitsubishi Ichiokan Museum, owned by the Mitsubishi Company, and the National Museum of Western Art, which although it is public institution, its collection was amassed by an industrial magnate before he went bankrupt. Art has always been a sign of wealth and class, and private institutions really know how to publicize their art because in essence they are selling themselves. There is a big difference in the image and administration of publicly and privately funded institutions, and I would need to look into it more to say which I think is the best way to run a cultural institution. The biggest controversy currently in the museum world is the creation of the Louvre brand (like the private Guggenheim brand) which has been franchised to the city of Abu Dhabi. It`s due to open in 2015 though at present there is an exhibition of its permanent collection, and also there are plans to open another Guggenheim Museum in the city in 2017. Exciting times for art in the Middle East. 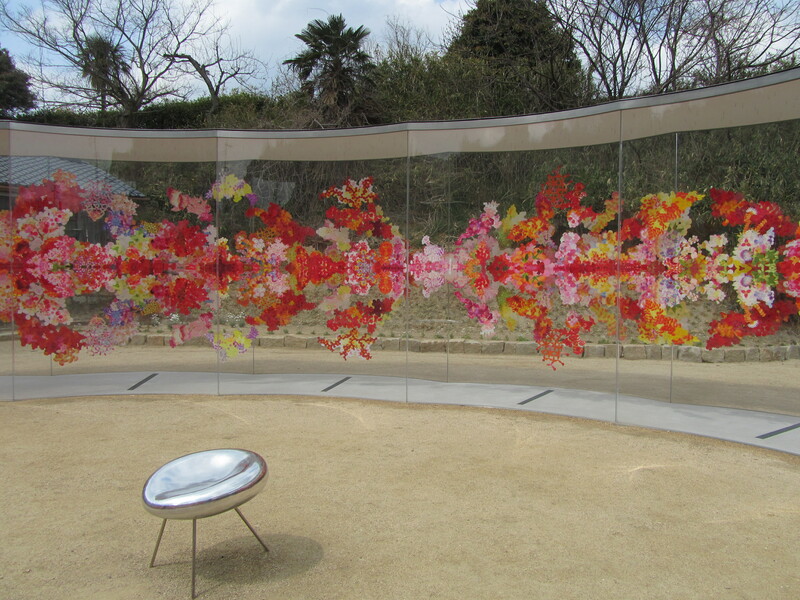 Allow me to introduce the biggest museum in Japan – the Otsuka Museum of Art in the small town of Naruto. It is a museum dedicated purely to reproductions of Western masterpieces. It doesn`t sound very appealing, after all, why would you come all the way to Japan to look at reproductions? It was built in the mid-nineties to celebrate the 75th anniversary of the Otsuka Pharmaceutical Company. It cost $4 million, contains over 1,000 works from Antiquity to the present day and is the largest exhibition space in Japan. The aim was to allow Japanese people who couldn`t go all the way to Europe to experience the art of the West, and their method of reproduction is quite amazing. High-quality photographic images have been baked onto ceramic plates that can even mimic the texture of the original paintings. The works don`t pretend to be original, as in the larger works you can see the lines where the ceramic tiles are joined. The first work you see when you enter is Michaelangelo`s Sistine Chapel. 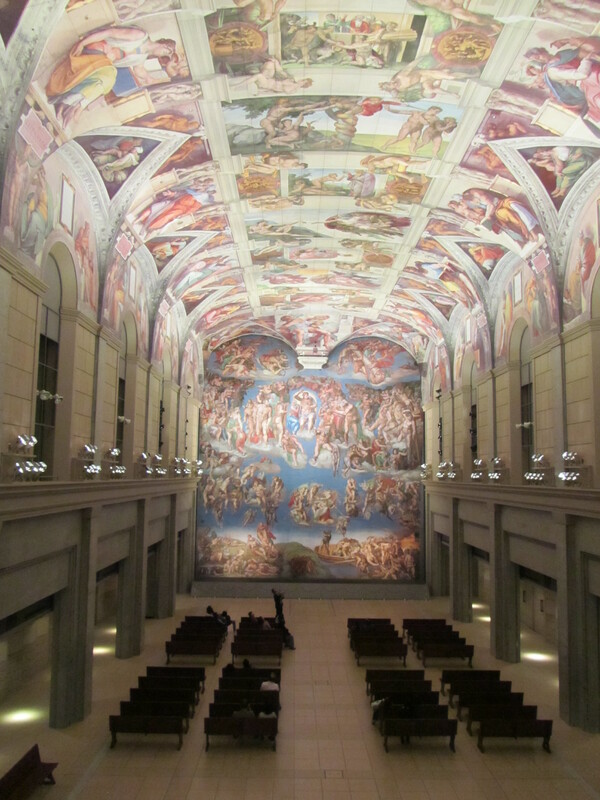 You have to sit down for a few minutes to take it in because it`s so bizarre to be in a reproduction Sistine Chapel in Japan. It`s not a replica of the chapel itself as it`s missing the side wall frescoes by artists such as Botticelli and Filippo Lippi, but it`s better than the original for the fact that you can sit in this uncrowded space and really look at the clear images and appreciate the scale. In the real Sistine Chapel, you only have a few minutes to look before you`re moved on by the waves of other visitors pouring through. The Otsuka space is a popular place for weddings. 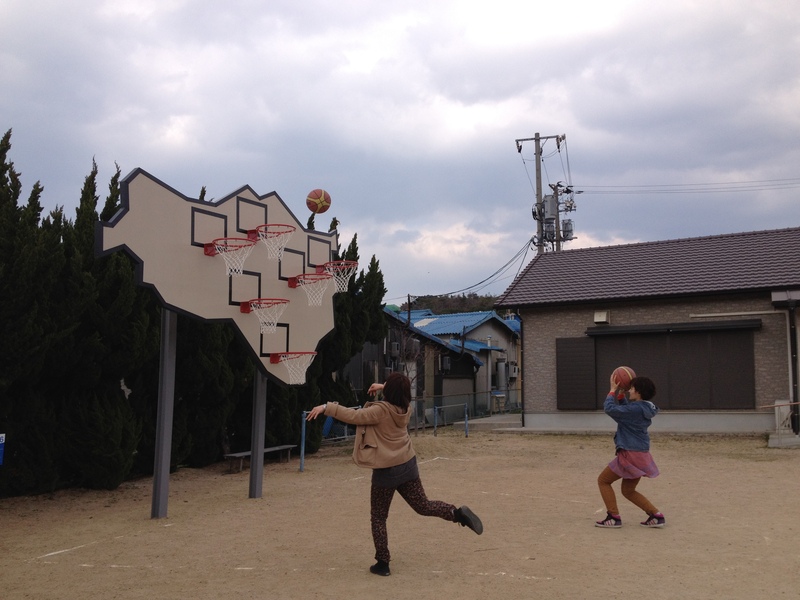 It`s not consecretated, but that doesn`t matter to Japanese couples who want a western-style (i.e. Christian) wedding and will even hire fake priests to officiate as long as they look the part. Because the museum has works that in real life are split in different museums around the world, this has allowed them to assemble series of paintings as they originally were. 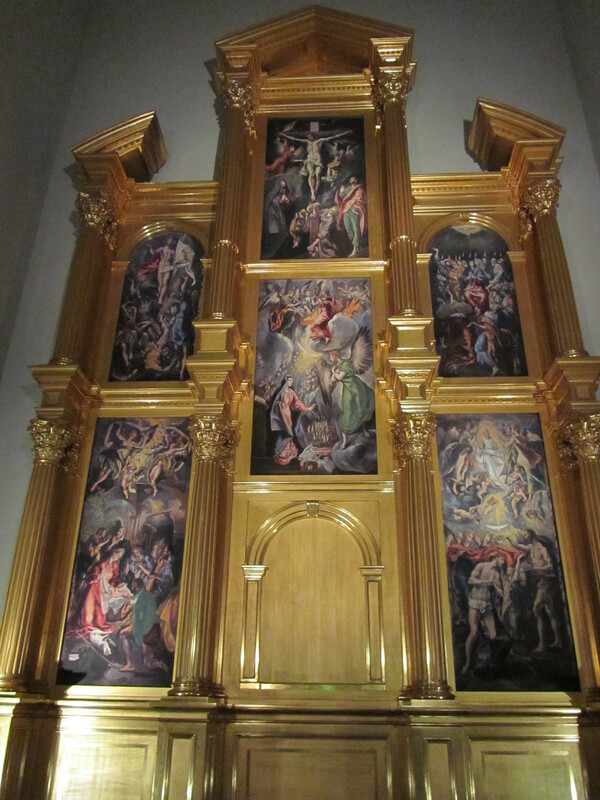 For example this altarpiece by El Greco has been reconstructed with paintings from the Prado Museum in Spain and the National Museum of Art in Romania. You couldn`t do that with the originals, even if you could have them all in the same museum, because it would be controversial to put them inside a reconstructed framework, but with reproductions, you have more leeway. 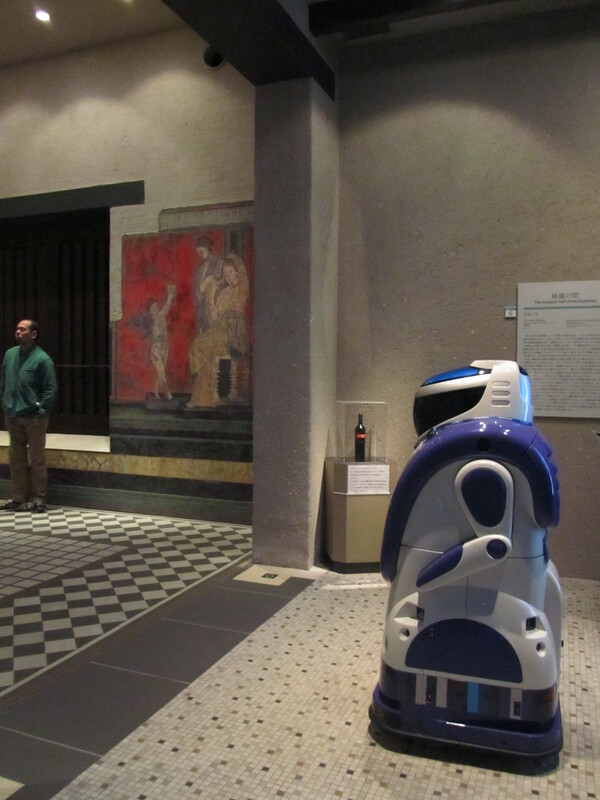 Below you can see the museum`s resident tour guide – the robot Art. A few times a day, he glides through the rooms and introduces some of the works to whoever is following and listening to him. 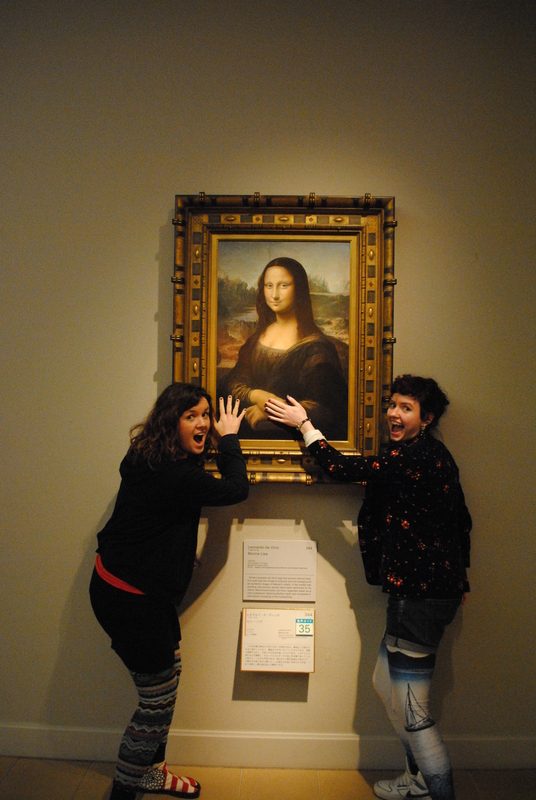 It took us until we arrived at the Mona Lisa to realise that there were no hawk-eyed gallery attendants or any kind of security measures to prevent us from touching the works. 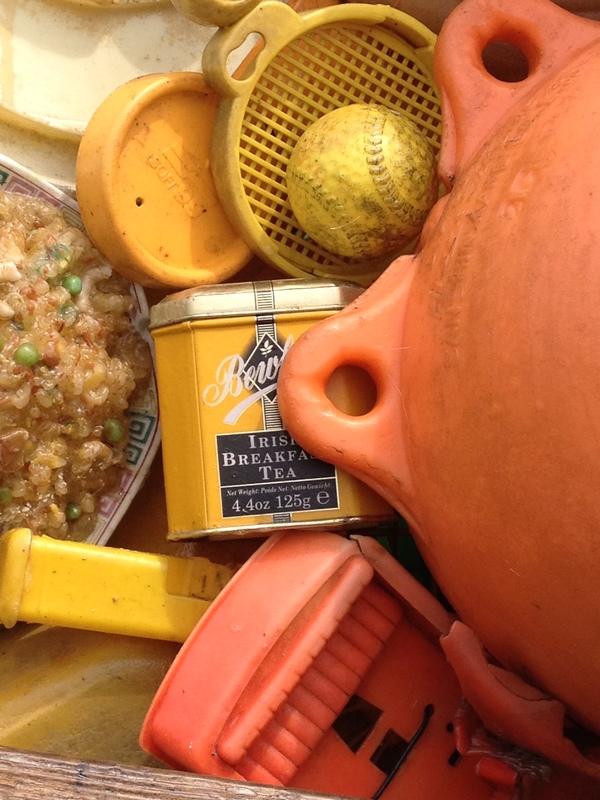 After all, these reproductions are impervious to decay and can be wiped clean. They will probably out-last the originals. It was quite a thrill to touch the Mona Lisa seen as the original is behind bullet-proof glass and can only be seen over the heads of other visitors from several feet back. My favourite part was the studiolo from the Palazzo Ducale in Urbino. I had been to the original in Italy, but you are only able to peek your head through a window and take a quick look as you`re walking through a corridor. Although in the reproduction it looks like it`s painted, the original is actually made of wood inlay. Different types are used to create shading and contour, and it`s inlaid in such a way to create a trompe-l`oeil effect of objects on shelves and cabinets. It was really cool to be able to stand inside the studiolo and look at the details. 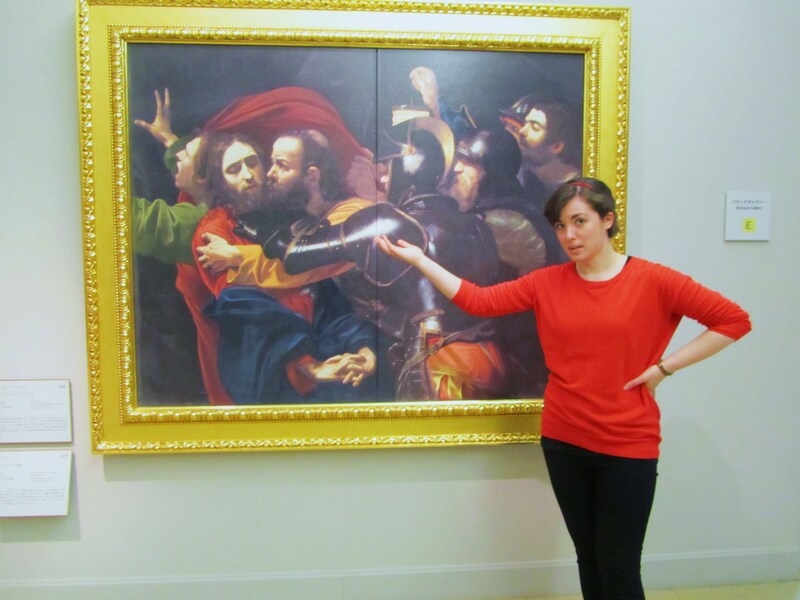 The National Gallery of Ireland was also represented with its Caravaggio The Taking of Christ. Jenny works at the gallery and every week she gives tours which always include this painting, so she was able to reel off her whole speech to us. It is a very surreal experience. The amount of works in the museum is incredible and by the end of the 4km walk around the museum, you are physically and mentally fatigued. It was great to be able to understand the scale of all these famous works, especially in relation to each other. 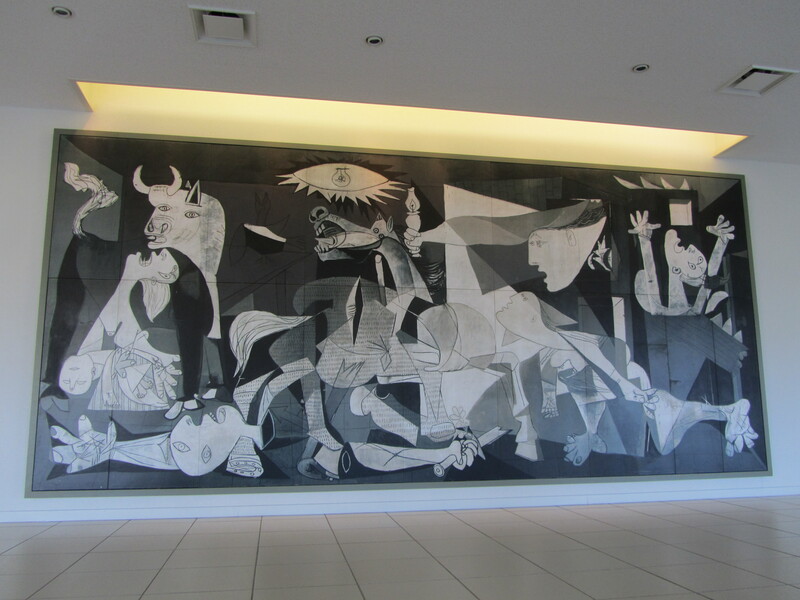 I didn`t realise Picasso`s Guernica was so big.